Elizabeth Guzman is a public administrator and a social worker who resides in Dale City. Elizabeth and her husband Carlos have four children and live in Ridgefield Estates. In between ballet and tap lessons, Girl Scouts and Cub Scouts activities, judo practices, and swimming lessons at the Dale City Recreation Center, Elizabeth works tirelessly as a Court Appointed Service Advocate for CASA CIS to prevent child abuse, a PTO representative for Penn Elementary School, and as a “Cookie Mom” for her youngest daughter’s Girl Scout troop. The Guzman family are active and long-time members of Harvest Life Changers Church in Woodbridge. The Guzmans also attend Sacred Heart Catholic Church. Elizabeth came to the United States from Peru as a single mom, looking for a better future for her oldest daughter. Sheremembers those early years; working three jobs in order to afford a one-bedroom apartment for her and her daughter. Despite graduating with honors from high school in Peru, Elizabeth’s parents could not afford to send her to college. With her love of learning Elizabeth persevered, and enrolled at Northern Virginia Community College, obtaining her degree in Office Administration and Management. Elizabeth also holds a Bachelor’s in Public Safety from Capella University, a Master’s in Public Administration from American University, and a Master’s in Social Work from the University of Southern California. her as a community leader and homeowner, and her desire to raise her children in a diverse, engaging environment. 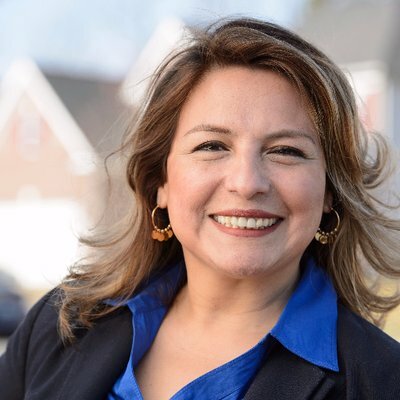 Elizabeth was elected in 2017 to become the first Hispanic female immigrant to join the 400 year old Virginia General Assembly. She now proudly represents Virginia’s 31st House District that covers Fauquier and Prince William County. Elizabeth has been working in the public sector for 10 years, and currently works as the Division Chief for Administrative Services for the Center for Adult Services for the City of Alexandria. Her personal and professional experience have given her strong insight into the needs of the 31st House of Delegates district, and Elizabeth cares about the many challenges residents in Prince William County and Fauquier County face. Elizabeth will fight as a strong advocate for the needs of the 31st District, whether that’s legislating for change in Richmond, or attending a community meeting in Catlett. As a mother of four, two of which face mental health challenges, Elizabeth knows the struggle parents face when ensuring that their children are getting a quality education – particularly for those what need additional mental health or disability services. 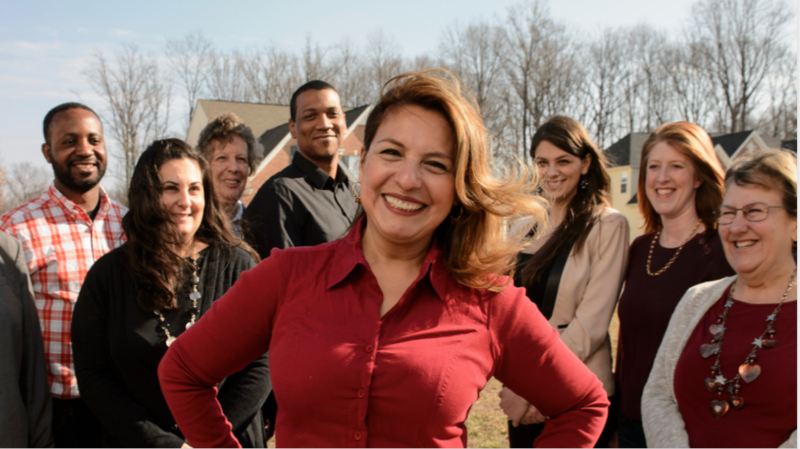 As Delegate for the 31st District, Elizabeth has fought to expand funding and opportunities for early childhood education to ensure that all children in Virginia have adequate access. Elizabeth is also committed to working to restore funding for public schools, and to find funding and innovative solutions to deal with the challenge of growing class sizes, high teacher turnover rates, and teacher pay. In Richmond she will continue to advocate for a better student to counselor ratio in our schools, and is dedicated to closing the education gap that is present in diverse communities across the state. Elizabeth understands that climate change is real and we need to act now. She wants to ensure that the Virginia we enjoy today will be available for her children and the next generation 20 years from now. One of Elizabeth’s top priorities is protecting Virginia’s many beautiful landmarks, natural spaces, and farmland areas. Elizabeth’s grandparents were farmers, which gives her strong insight on the growing importance of protecting area farmland. She will continue to ensure that it will be there for generations to come by promoting agribusiness and agricultural opportunities in the 31st district, and supporting small family farms. Delegate Guzman was one of the very first champions for Medicaid Expansion in Virginia when she started to run, and true to her word she provided results her first legislative session. Elizabeth believes that healthcare is a human right and that we must do better to take care of our neighbours. She believes that workers deserve time off to go see the doctor or visit loved ones when they are ill without using vacation time to do as much. Now that we have expanded healthcare access across Virginia it is time that people are able to use it for preventative care before their situations get worse. As an immigrant to this country Elizabeth wants to ensure that diversity is something that is never disrespected in our Commonwealth. She knows the struggles of adjusting to a new place and will fight for a more inclusive Virginia where all communities are welcome. Elizabeth believes that immigrants make america great and that we must do everything we can to protect our Dreamers. Providing licenses to all those eligible to drive in the 31st District would open up driver’s ability to get insurance on their vehicles and require individuals to take driver’s tests and properly register with the state’s motor vehicle agency. Making licenses available to all residents would bring much-needed revenue back into Virginia– revenue we are losing to Washington DC and Maryland, where they do allow for undocumented residents to get a license. By allowing undocumented residents to get a license, we strengthen families– with the permission to drive safely and legally to work, school, and elsewhere, undocumented families can participate more fully in society without the constant fear of being. Unlicensed, uninsured drivers cause damage claims that cost other policyholders. More licensed and insured drivers will reduce the number of accidents and lower insurance rates for all. Elizabeth believes that no hard-working Virginian should struggle with putting food on the table for their families due to low wages or a lack of economic opportunity. Elizabeth is a strong believer in raising the minimum wage, so that families in the 31st district and across the Commonwealth aren’t working 50-60 hour weeks and still having to choose between paying their bills and feeding their families. For Elizabeth establishing a living wage and promoting economic development is a family issue, because if individuals are making higher wages this will allow them the opportunity to spend more time with their families. Elizabeth respects the 2nd Amendment and would never do anything to impact the lives of law-abiding gun owners, but we need reasonable gun safety reforms. Violent criminals and domestic abusers should not have the means to do greater harm again. She believes that it is time for comprehensive background checks not only at gun shows but also for all private sales. She is in support of the Safe Virginia Initiative that aims to help keep our schools safe by examining the root cause of gun violence. If you have any questions for Liz Guzman, send them to Virginia onAir at virginia@onair.cc. Virginia will first see if Liz Guzman has answered your question somewhere else. If they haven't, Virginia will pass on your question to Liz Guzman and post their answer, if they have one. If you have any suggestions for Liz Guzman, especially if you are a current or former constituent, send them to Virginia onAir at virginia@onair.cc. Virginia will record your suggestions here. If you have something positive to say about Liz Guzman and you are a Virginia onAir Hub member, send your recommendations to Virginia onAir at virginia@onair.cc. My name is Virginia onAir. I am the lead curator for this Liz Guzman post.